Cookie McGee finds his trail pard, Rafe Barr, head of THE OUTFIT, near death from a vicious knife attack in a Santa Fe alleyway. The town is a-crawl with soldiers out for their blood, but with Doc at the helm, Ethel the War Wagon slips through. The outlaw duo heads for help in California, but the governor needs THE OUTFIT’s help as much as they need his — he’s being blackmailed by Talbot Timmons, head of covert Confederate group, Brotherhood of the Phoenix, and warden of Yuma Territorial Prison, Rafe’s wrongful address for five hellish years. Then notorious killer, Turk Mincher, rides in and makes a bloody mess in their midst. Righteous resolution descends at the only place it can — Yuma Territorial Prison, where it all began six years before. Can THE OUTFIT escape unscathed? 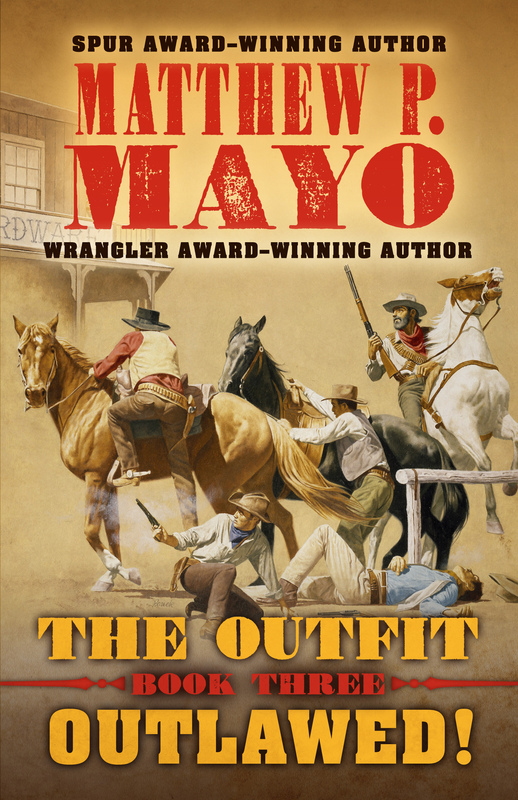 Critical Acclaim for Matthew P. Mayo’s OUTLAWED!